The Bolkhovitinov S was designed in the early 1940s by Viktor Bolkhovitinov. 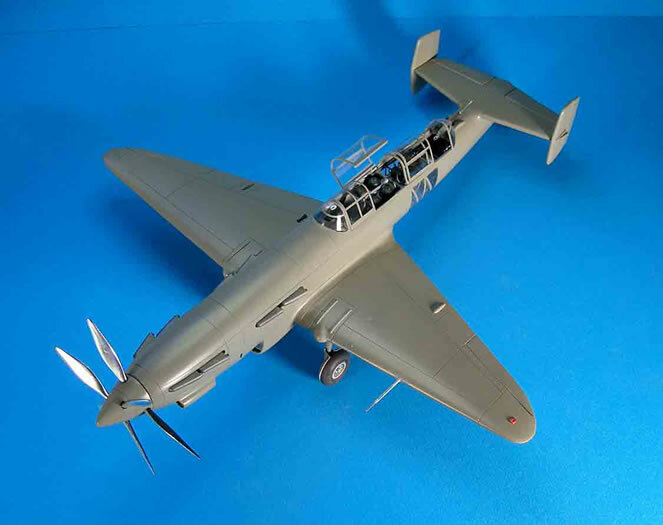 The idea was to develop a fast light bomber/reconnaissance aircraft and to combine the aerodynamic advantages of a single engine aircraft with the power of a twin-engined aircraft. 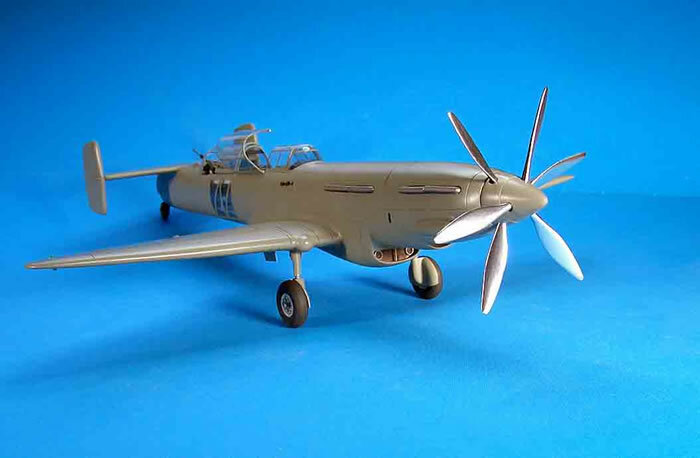 Its two V-12 inline engines were arranged in tandem, and drove two contra-rotating propellers. 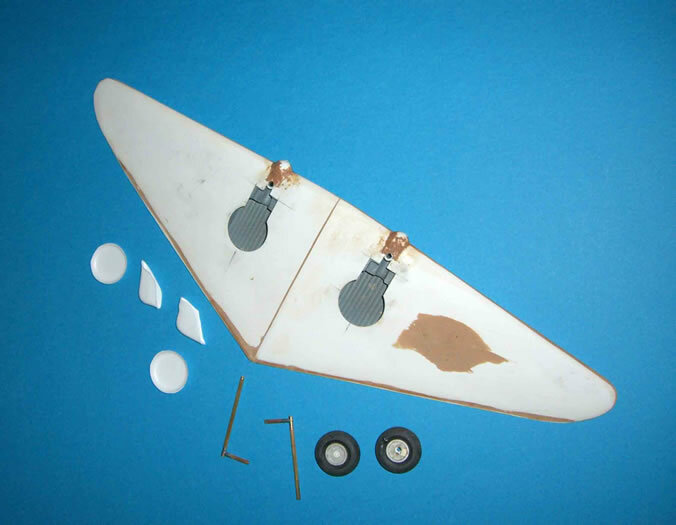 The aircraft thus ended up with an abnormally long fuselage nose and a wing of relatively short span and area. The two-place cockpit was, of necessity, moved far rearward and was also unusually long so that it could contain a small bomb bay which could carry four 100 kg bombs/mines in a vertical position. 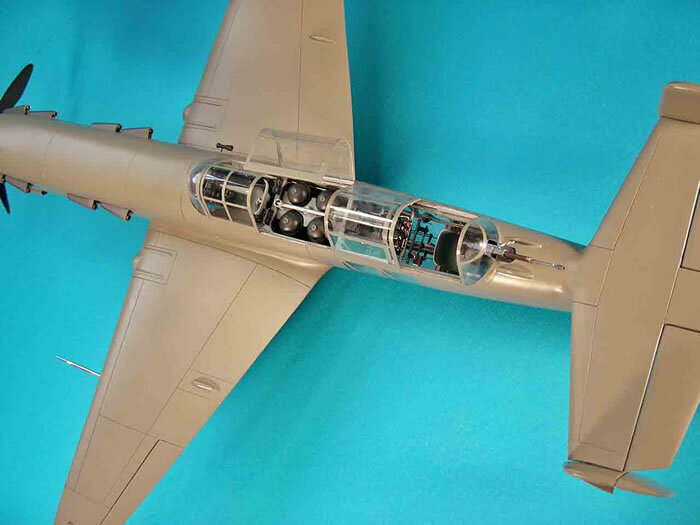 In addition, there was a large clear area in the fuselage to allow ground observation by the gunner/bombardier. The design also had twin fins/rudders to provide a wider field of fire for the gunner. 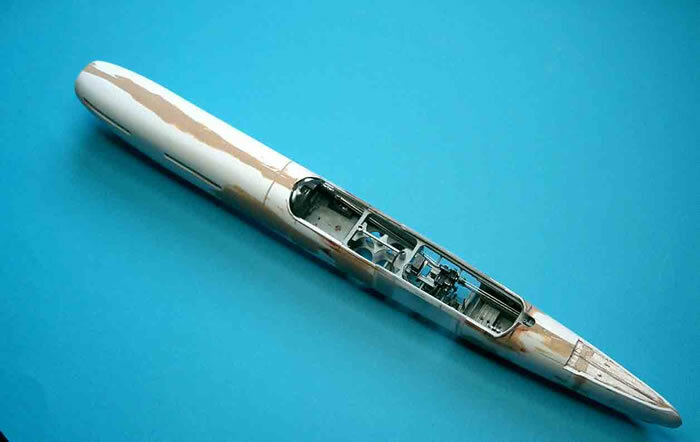 The well-finished, all flush-riveted first prototype, powered by only one engine, first flew in January, 1940, and was fitted with skis. In today’s terms, that aircraft appears to have been primarily a proof-of-concept airframe. 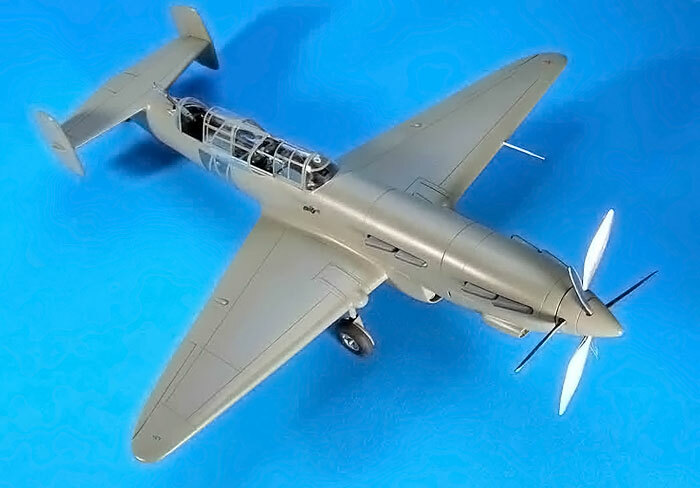 The second and last prototype S (the subject of this exercise) flew in March, 1940, and was powered by two engines and armed with a single ShKAS machinegun and bombs. Its maximum speed was about 335 mph. 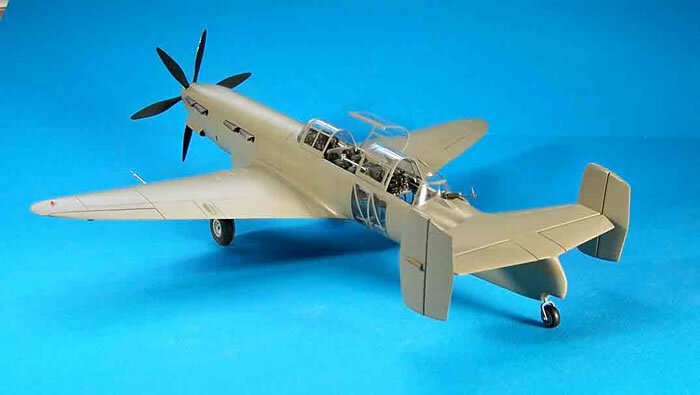 It handled reasonably well, but some maneuvers, particularly take-off and landing, were, not surprisingly, rather tricky due to the high wing loading. The aircraft also showed a tendency to stand on its nose. The coupled engines were problematic, with several incidents of broken propellers and heavy vibrations. The aircraft was not further developed due, in large part, to the needs of WWII. The photos pretty much show everything but the aggravation involved, so if the descriptions are vague, the pictures will hopefully help. 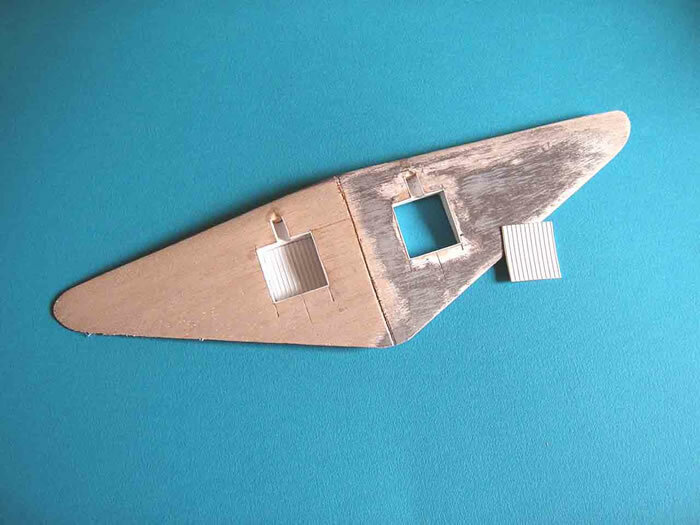 Obviously, one of the primary considerations was how to build the fuselage. 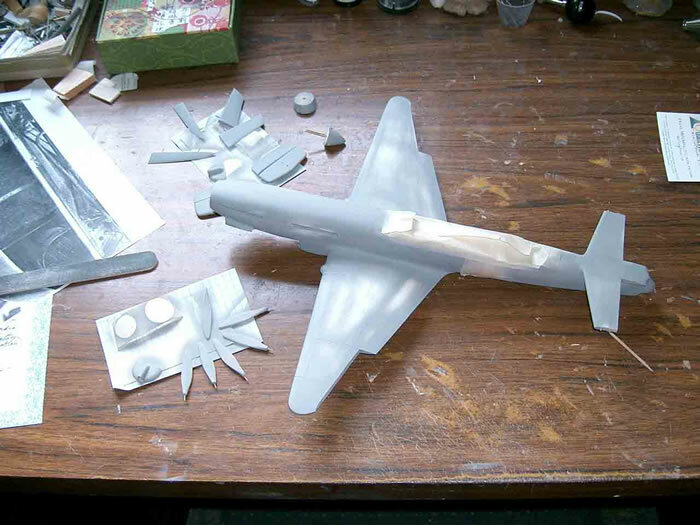 I first thought I would just mold the entire fuselage from clear vinyl, but that did not work out for a variety of reasons (there are no pictures of that disaster). 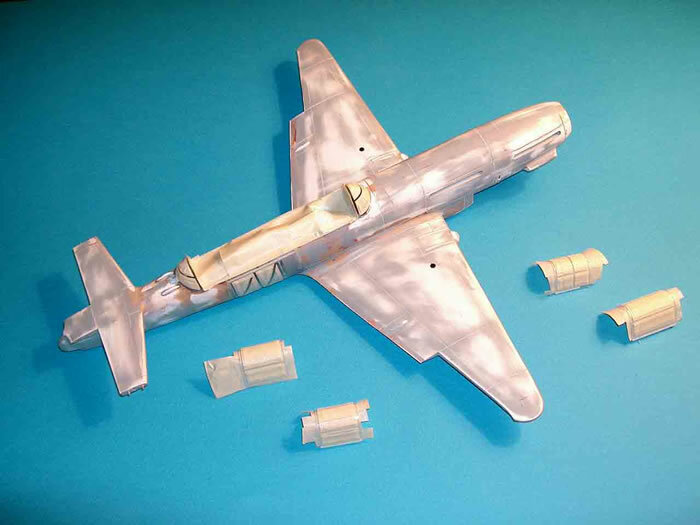 Plan B, which did work, involved first making heat-and-smash molds of an area of each fuselage half that incorporated the clear areas. 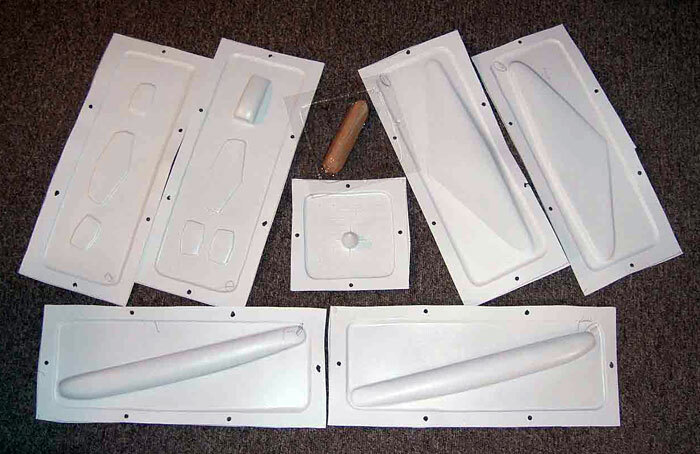 The entire fuselage was then vacuum-formed in styrene sheet. 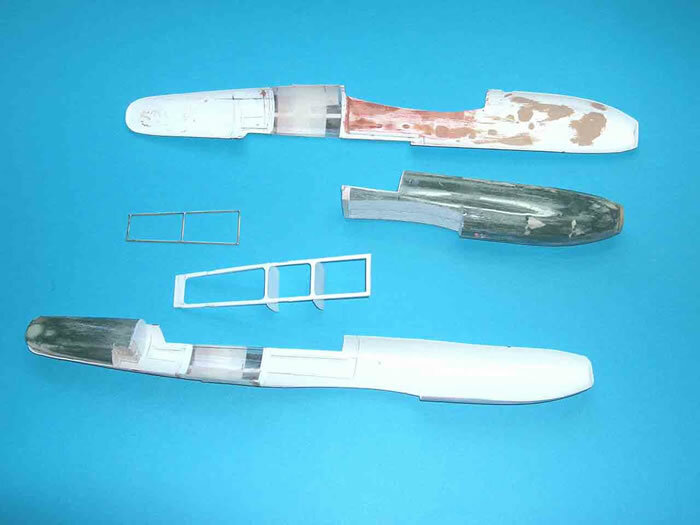 The clear parts were then sliced into the fuselage styrene parts (see the photos; might make better sense). 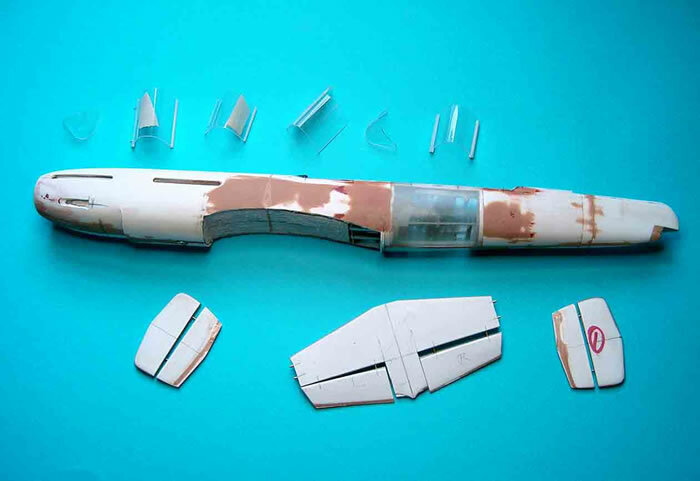 From there on, it was pretty much like any scratchbuilt, with the exception that a bit more care was taken with internal details since everything was going to be all too visible. 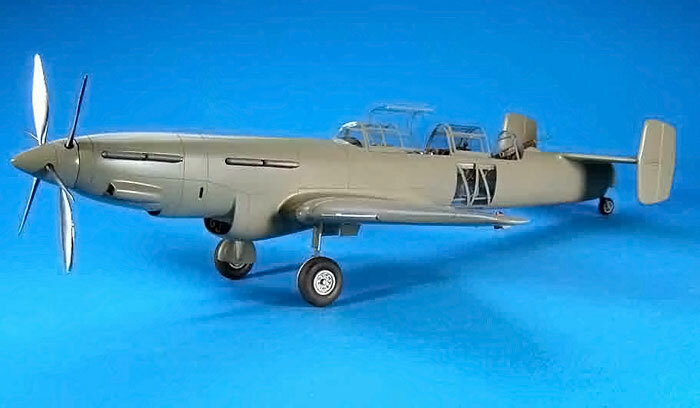 It should be noted that while there actually was more photographs and drawings available for the S than have been available for some of my previous models, there were any number of things that had to be done using the “best guess” technique. Nit-pickers need not apply. As already alluded to, the interior took a while to complete. 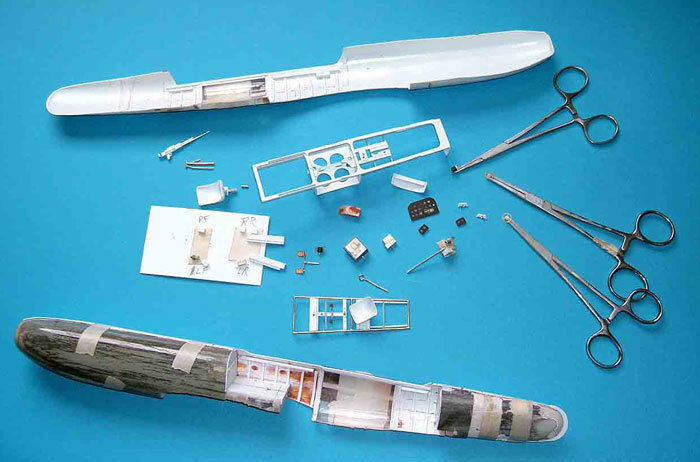 It was constructed in much the same way as the real one: A long crutch in the upper portion of the fuselage with many of the rest of the parts suspended or added to that. 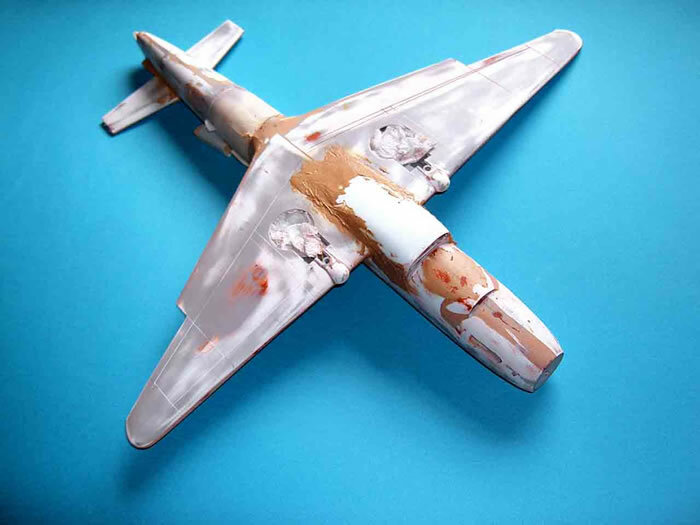 The bombs (which I suspect were actually mines in the photos I had) started life as 1/48th scale B-24 bombs, but the machine gun had to be scratchbuilt. 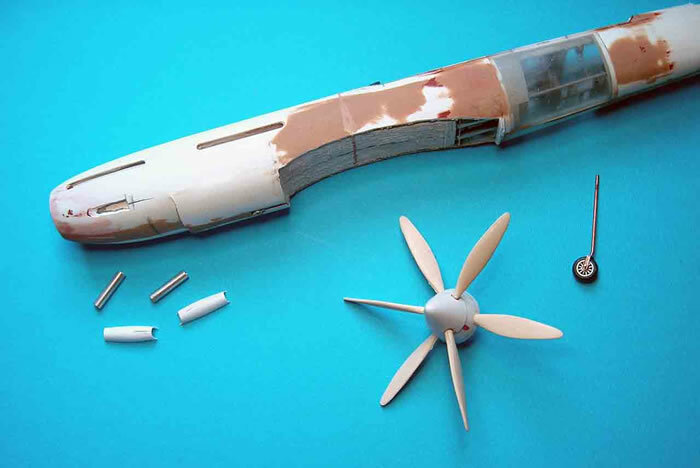 One continuing problem was keeping the fuselage halves in one piece while the interior and other parts were added. They kept breaking apart at one or more of the clear/stryrene joints. That was finally alleviated by taping some 1/8th inch square styrene strips onto the outside. 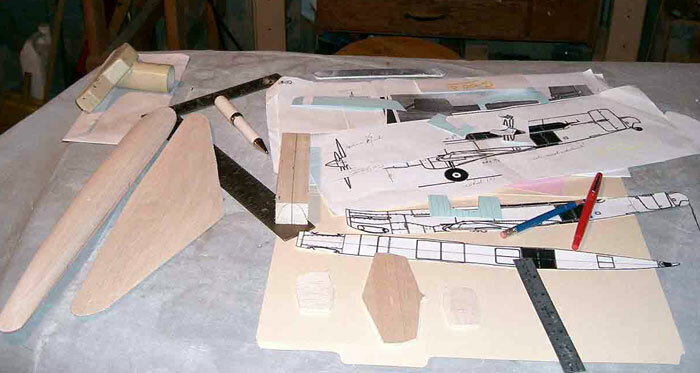 The wings were made in my usual way, i.e., styrene vacuum-molded over carved balsa forms. 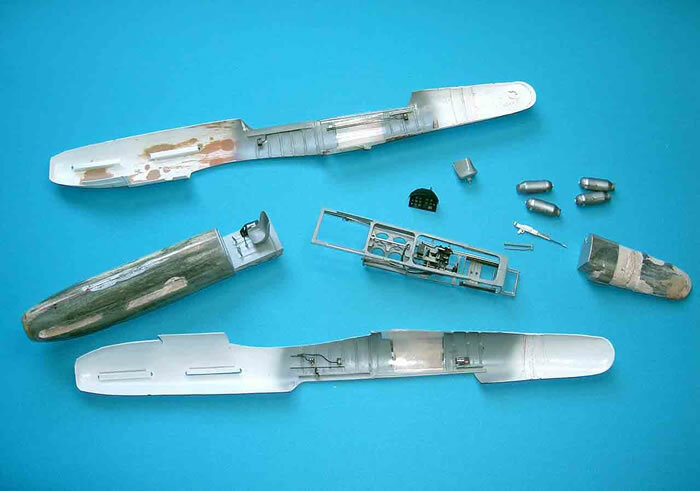 The landing gear was much like that found in the Curtiss P-36, which meant a number of pieces had to be made, which was somewhat fiddly, but fairly straight forward to do. 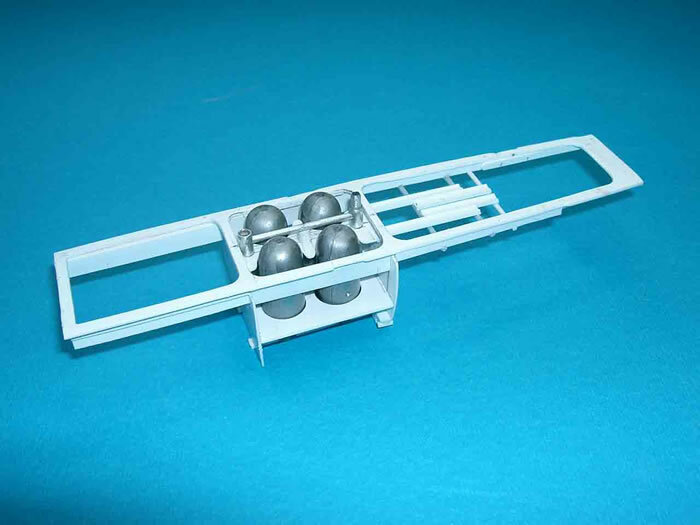 The main legs were made of brass, while the other parts were styrene. The wheels came from the scrap box. 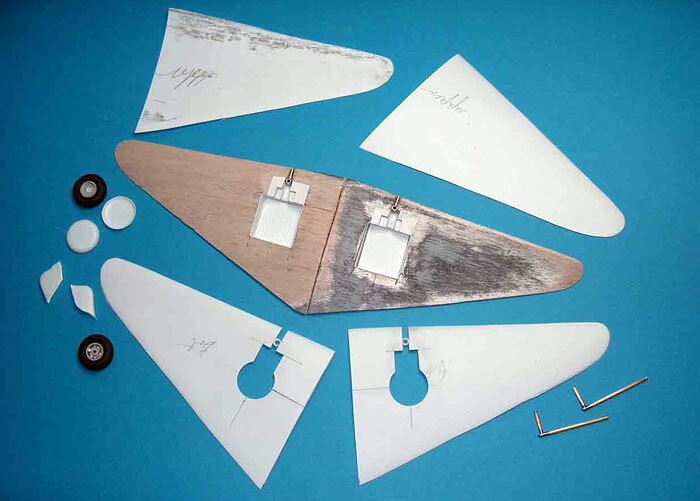 Then tail surfaces were made in the same way as the wings. 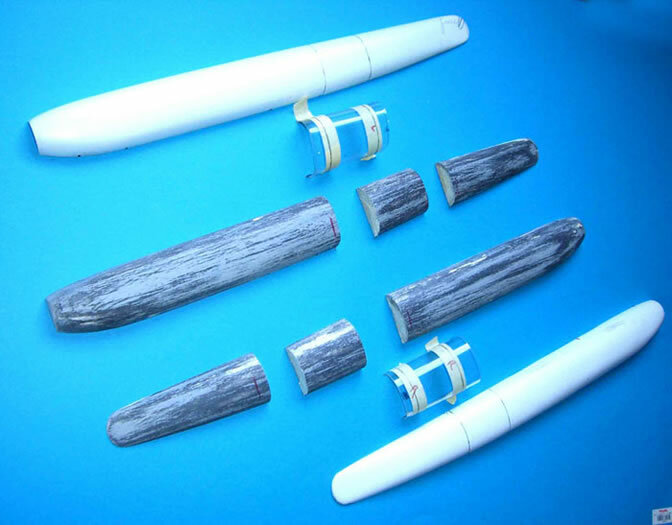 The propeller spinner(s) were turned from basswood and vacuum-formed. 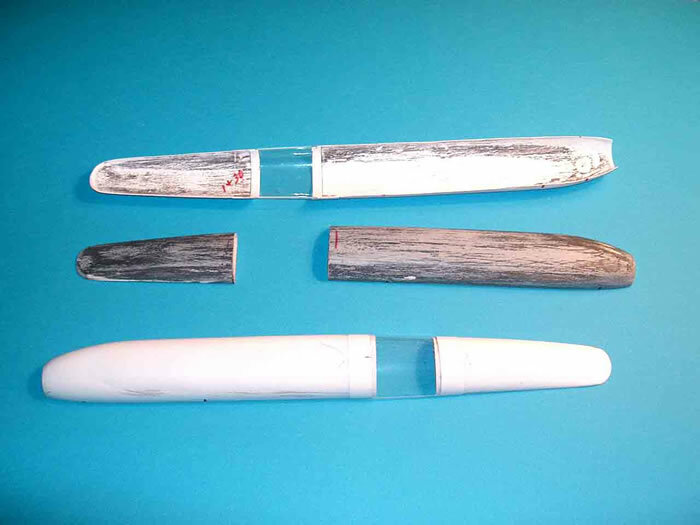 The blades were stolen from an accessory kit from a Combat Models kit (I hate to carve prop blades), and the forward surfaces covered in aluminum foil. 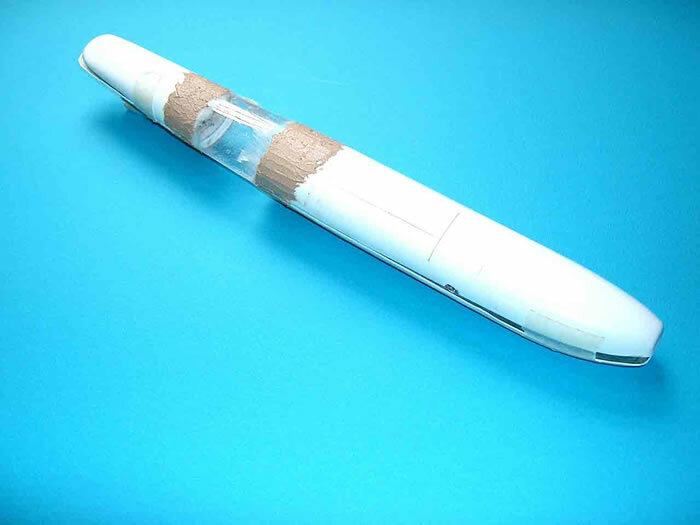 The exhaust pipes were mercifully simple and were made by forming eight pieces (heat and smash) over a balsa form. 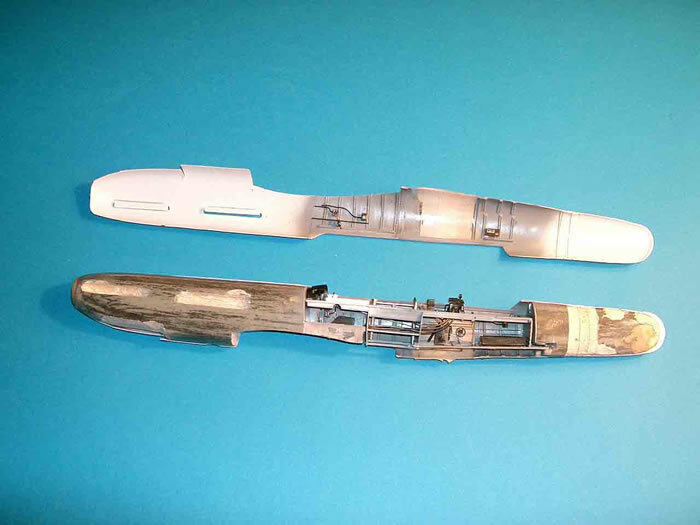 After being cut to shape and fitted into the slots, short pieces of aluminum tubing were added. As usual, the thing was kept in line by means of a building jig which is a very handy thing to have and is well worth the time it takes to construct. 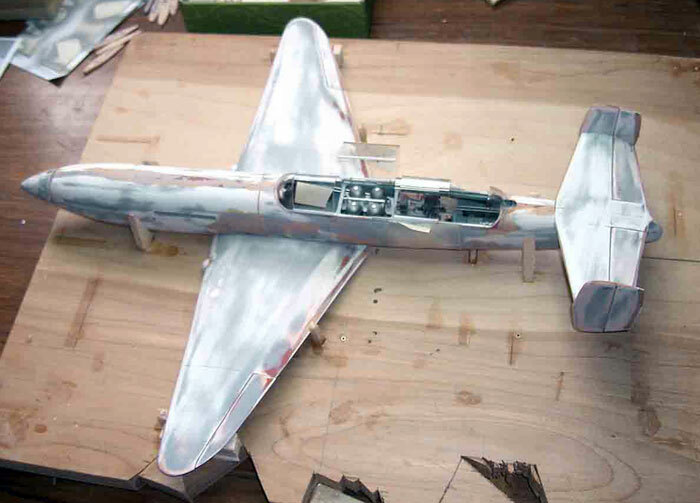 In this case, once the wings and tail were in place, the model had to be removed from the jig because of the depth of the radiator. 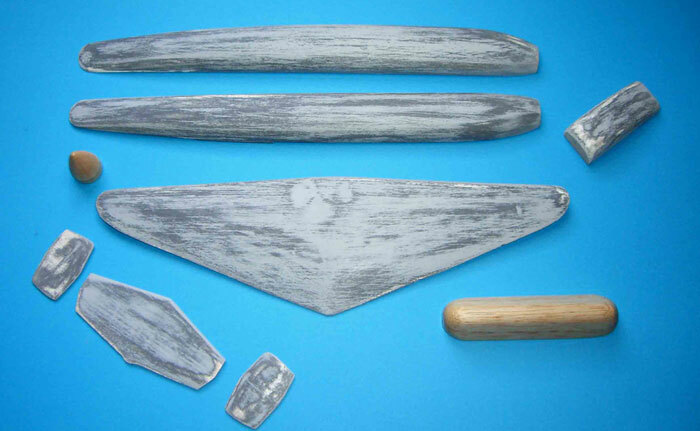 As with many prototypes, there was no solid information on colors, either interior or exterior, so these were guessed at based on some website discussions and on the black and white pictures that were available, and there had been. I ended up using a mixed gray for the interior, and Gunze RLM 02 for the outside. I am sure the Russians did not call it that, but it looked good to me. The final coating was Floquil Flat Finish. Interestingly, I could find no hint of insignia, numbers, or any other markings on the exterior. So, for maybe the first time ever, not one decal was used, if you don’t count a few tiny ones in the cockpit. In all, an interesting build, but I don’t think I want to do another one anytime soon!